Probably more than a few of our readers have experienced an important life event like a wedding or an ordination which, if not ruined, was at least diminished by bad music in the liturgy. 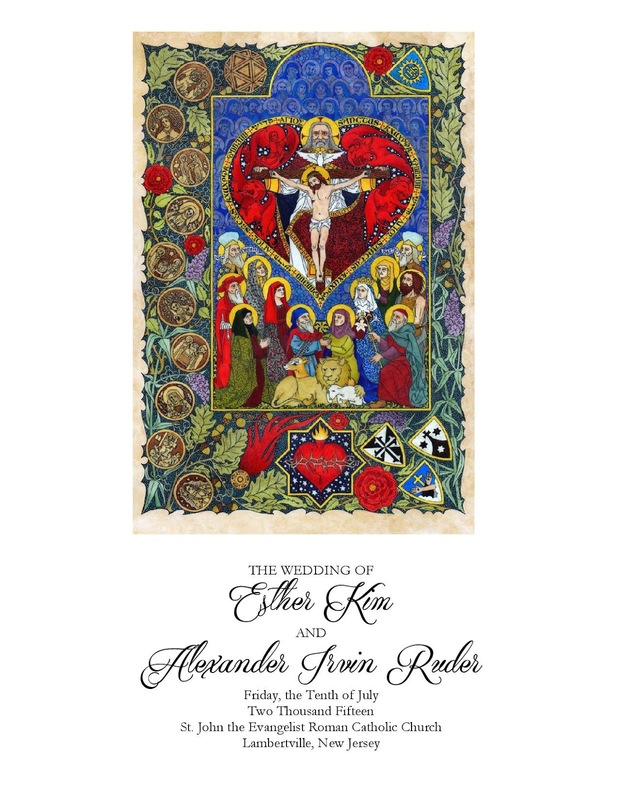 I recently received notice about the following blog, Sed Una Caro, which documents the wedding in July of Alexander Ruder and Esther Kim at the church of St John the Evangelist in Lambertville, New Jersey. The couple put a great deal of thought into their wedding ceremony, as most couples do, but with particular and serious attention to the program of music to be used at the liturgy. 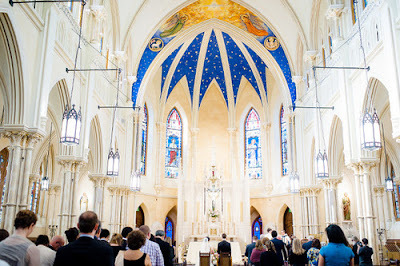 The wedding was celebrated in the OF, with the chant Mass De Angelis, and a number of pieces by Mozart, Bach and Monteverdi, and some very good organ music. As one might imagine, it was well received by the guests, Catholic and non-Catholic alike. 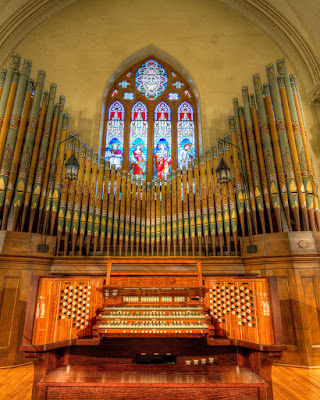 The whole set of musical pieces is linked on the blog; here is just one selection, Mozart’s Laudate Dominum from the Solemn Vespers of a Confessor sung at the bride’s entrance. 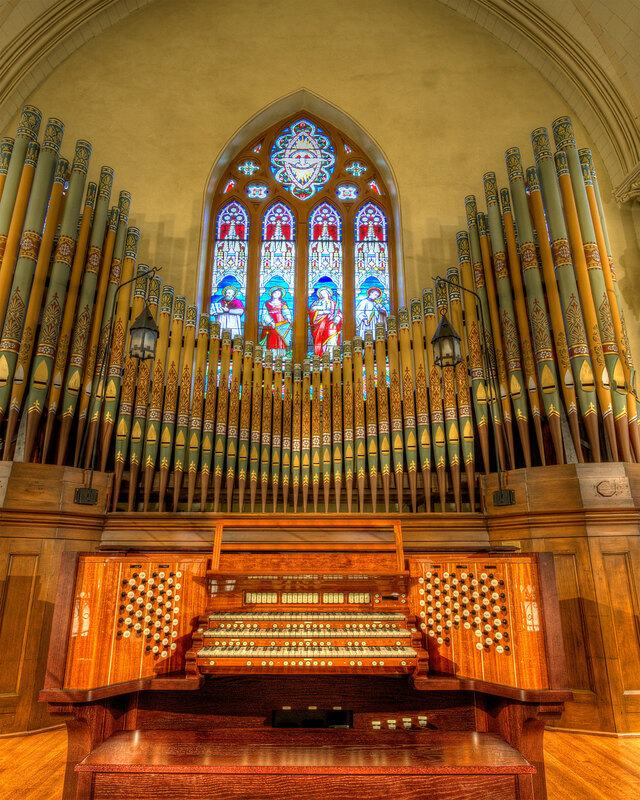 The church was also renovated recently, with the walls of the sanctuary redecorated, and a new organ installed, as documented on this page. 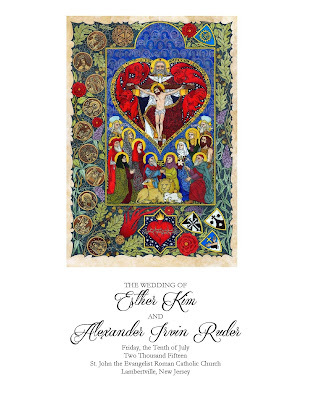 The front page of the wedding program includes an image by well-known Catholic artist Daniel Mitsui. Congratulations to Alexander and Esther, and our thanks to them for sharing the images and sounds of their wedding, which they have done in the hopes of inspiring other Catholic couples in arranging theirs.